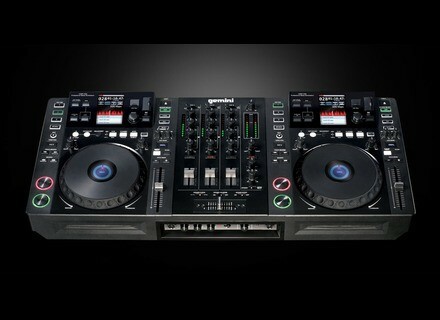 CDMP-7000, MIDI Control Surface for DJ from Gemini DJ. Gemini exhibits the CDMP-7000 at this year’s NAMM show - attendees can check out Gemini’s CDMP-7000 at Booth 5700. 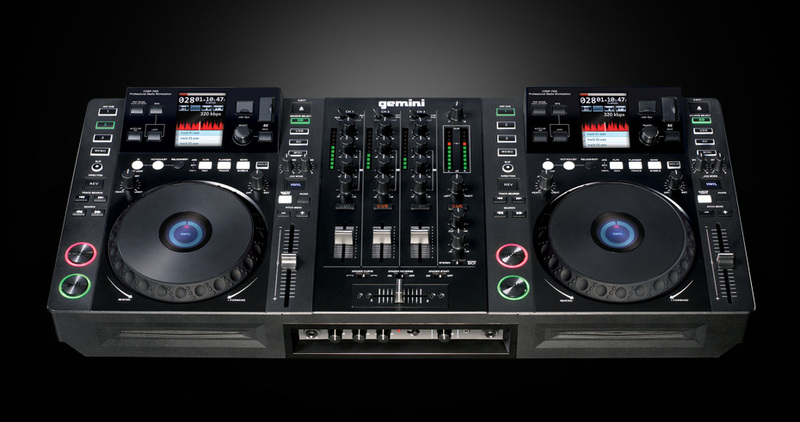 Gemini’s standalone DJ workstation features two CDJ decks with song-shaping tools and color touchscreens, so users can navigate tracks, adjust tempos and set effect values with the same controls found on smart phones and tablets. The unit also features a 3-channel central mixer section with 3-band EQ and gain control, plus a variety of inputs and outputs. The CDMP-7000 employs two slot-in CD drives compatible with Audio CDs, CD-Rs and MP3 CDs, while one-per-side USB inputs and SD slots support playback from flash drives and SD cards. Two touch-sensitive jog wheels with VFD displays also let users command their tracks, while MIDI capabilities can turn the unit into a software controller.